Jaffna is a long way from Colombo –both by the kilometer and figuratively speaking-, something that I discovered on a family trip that meandered slowly through the ruins of ancient civilizations and modern battlegrounds last fall. Of course, it is not just the 400+ kilometers but the metaphorical leap that one makes when traversing this island of serendipity from south to north and east. For much of the last three decades the Jaffna peninsula was separated from the rest of the country by the fighting and violence that tore apart the island’s ethnic and linguistic communities. The roots of the conflict go back many years depending on who you talk to and there are complex nuances that made it anything but a simple good vs. evil conflict. Starting in 1983 through a series of tragic events, interventions, complicated jockeying and bloody battles the LTTE took control over larges swathes of territory in the Vanni and eastern coastal regions of the island. Jaffna, the strategic heart of the North-East, shifted hands several times and endured isolation, wide-spread damage and frequent fighting. It was only reachable by heavily guarded transport ships and rickety flights that would occasionally attract anti-aircraft fire from LTTE positions. This was the stalemate that existed in 2005 when we arrived in the country to teach in Colombo. In 2009 with the defeat of the LTTE a whole part of the island suddenly opened up and once again the Jaffna area was reachable by land routes. Soon after the cessation of fighting there was a flurry of domestic tourism to the north and east. People from the south of the island ventured northwards for the first time to rediscover a part of the island that had been out of reach for so long. Meanwhile Tamils who had lived through the fighting in the north started the long and difficult task of rebuilding their lives. Many of them had been in government run interment camps and the last of these were closed in September 2012. Initially there was a permit system for foreigners wanting to visit the area but by the time of our trip these had been lifted and the area was fully accessible. Guidebooks have been re-written now and both the Rough Guide and Lonely Planet have more comprehensive sections on this part of the island. For our family this was not an ordinary journey and we wanted to do more than see an unknown part of the island. We wanted to continue to expose our children to some of Sri Lanka’s natural wonders, with a focus on marine ecosystems. We were also looking to uncover and renew links to the Jaffna area that had been established two generations ago by Edson and Dorothy Lockwood. With the support of the United Church Board (UCB) mission they had come to Jaffna in the early 1930s to work as teachers at Jaffna College. Other than being evacuated in 1942 (when a Japanese invasion was thought to be imminent) and infrequent furlough trips to the US, they had spent their careers at Vaddukoddai (where Jaffna College is located) before retiring to Boston in 1968. I grew up with stories from my father and uncles describing their explorations of the islands, lagoons and neighborhoods of the Jaffna peninsula. My father’s famous love of chilies and hot food love was certainly birthed and nurtured in the kitchens of Jaffna. Our journey took us up through the heart of Sri Lanka’s cultural triangle and we stopped near to Dambulla and Sigiriya to spend a day exploring the area. The spectacular rock fortress of Sigiriya is, of course, a major tourist magnet. On this trip we stayed in its shadows and explored some of the lesser-known ruins as well as the compact but ecologically rich and educationally important IFS- Popham Arboreum. Back of Beyond’s Dehigahaella lodge provided an earthy, soothing place to stay before we moved on to Trincomalee. The roads connecting this once isolated part of the island to the south and central areas are excellent and underutilized. I was mesmerized by the landscape: there were hillocks of granite boulders and scrub forest and a distant horizon largely devoid of noticeable human land use. Trinco is renowned for its natural deep-water port, a strategic asset that has allegedly interested large powers in its control. It is a stunningly beautiful part of the country that few visitors see because of the long drive from Colombo. 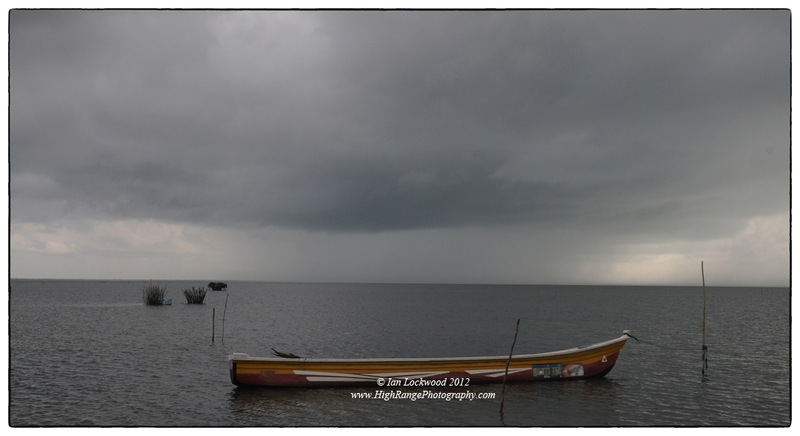 We stayed at Nilaveli beach and explored the coral gardens around Pigeon Island National Park just before showers from the North East monsoon set in. Sirigya rock from the south. Our visit coincided with rains that relieved an area experiencing severe drought. 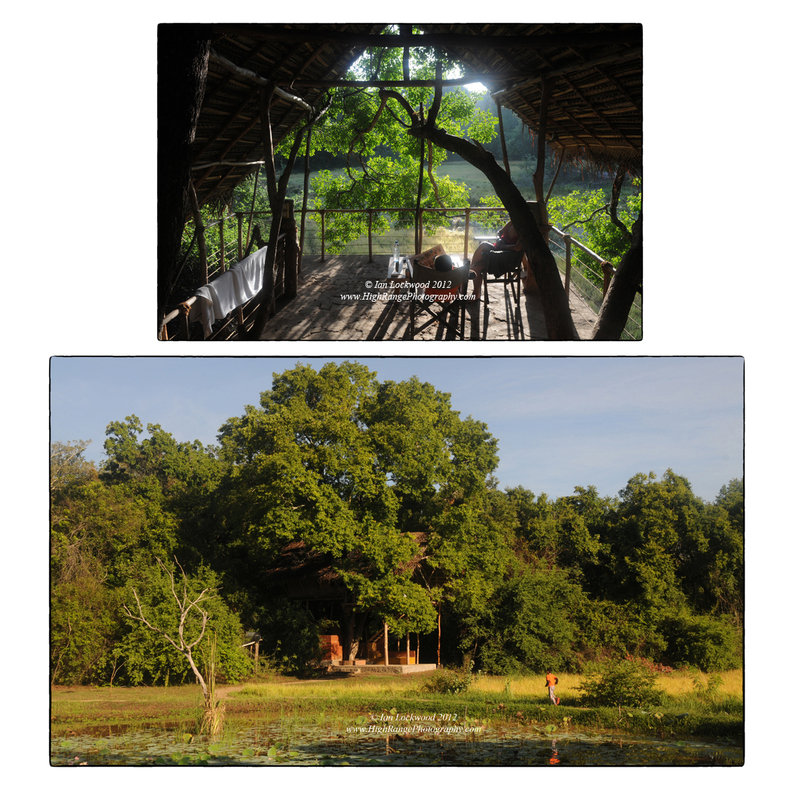 Back of Beyond’s inimitable treehouse bungalow near Sigiriya. This was our first stop over on the way to Jaffna. Swami rock (Koneshwaram Kovil) in Trincomalee. On the drive to Jaffna from Nilaveli we followed the coastal road northwards, taking a long bumpy diversion around the Kokkali Lagoon and then through large tracts of dry monsoon forests to Mullaittivu. The forest reminded me of some of Yala’s most intact forest vegetation. The Sri Lankan Forest Department inventory of forests shows that large areas of the North East host relatively undisturbed ecosystems. However, with the area free of conflict the potential pressure on these forest resources is significant. We weren’t sure about being able to get up to Jaffna this way but the road kept going and so we followed it. There were infrequent check points and a clear, but not overbearing military presence along the road. For most of the time our van was the only vehicle on the road. On the road north of Mullaittivu the carnage and detritus of the final battle in 2009 was impossible to ignore. I was surprised at how fresh it felt even though three years and monsoons had passed. The few building standing were riddled with bullet holes and shrapnel marks. Burnt out pillboxes constructed of palmyra trunks and earth marked both sides of the road. Clumps of sarees and other clothing, dried and sun-bleached, lay scattered amongst shallow trenches. Families and scrap scavengers were out collecting metals for recycling-apparently the area had only been recently opened up. Enormous piles of rusting vehicles had been collected and bulldozed into piles in large lots. Nirumapama Subramanian and R.K. Radhakrishan also visited the Jaffna area just before us and filed several articles on the road and Jaffna in the Hindu that seemed to echo many of our observations. About the time that we passed by the military memorial and museum of LTTE hardware north of Mullattivu a dark rain shower swept in from the sea. The land has been parched for months and the rains of the North East monsoon brought relief. Multiple works teams were putting the finishing touches on the A-35 road leading up the Killinochchi junction. In many places the pavement was complete and we zipped along at a surprising clip. As the piles of rusting vehicles, and remnants of the last battle receded I was stuck by the clear determination of the people to overcome the difficult past. School children were everywhere, dressed in pressed blue and white uniforms. Their places of learning lacked shutters and door frames but classes were in session. Farmers were planting rice seedlings and the monsoon brought a freshness to the landscape. As we passed through Elephant Pass and entered the Jaffna peninsula the work to revive the railway links to Jaffna become evident. In 1978 our family had stayed at the old Elephant Pass Resthouse, a mini-Dutch fort that was apparently obliterated in the horrific battles over the pass. On that visit my father had helped Brian and I flatten coins under the wheels of trains connecting Colombo to Jaffna. Now with India and China’s help, these severed links are being repaired. The geopolitics of their interest may be a motivating factor but aside from that, their work is producing positive dividends. It became clear to me on this trip that these efforts to physically connect Sri Lanka’s communities, more than political sloganeering, are the best help that the once isolated populations of Jaffna and of the north east can hope for. The road into Jaffna passed though low-lying salt marshes, palmyra –lined households and several townships(Palli-Mukamalai-Mirusuvil-Kodikamam- Chavakachcheri and Navatkuli). Most of the roads were under repair and were being widened and carpeted by teams with heavy machinery. Evidence of the violent past was less obvious as we passed lines of trucks carrying gravel, long-haul buses from Colombo and assorted NGO vehicles. At Pallai, the former front lines between the LTTE and government forces, work is being done to clear thousands of mines. De-mining teams, mostly women it seemed, worked methodically to clear yellow-ribboned plots of land. During the last 20 years this no man’s land was colonized by Lantana camara and other non-native pioneer species. Now a think canopy of scrub covers unknown quantities of lethal ordnance sewn by all sides of the conflict. These are just some of the heroes working and putting their lives on the line to build a brighter future in Jaffna. 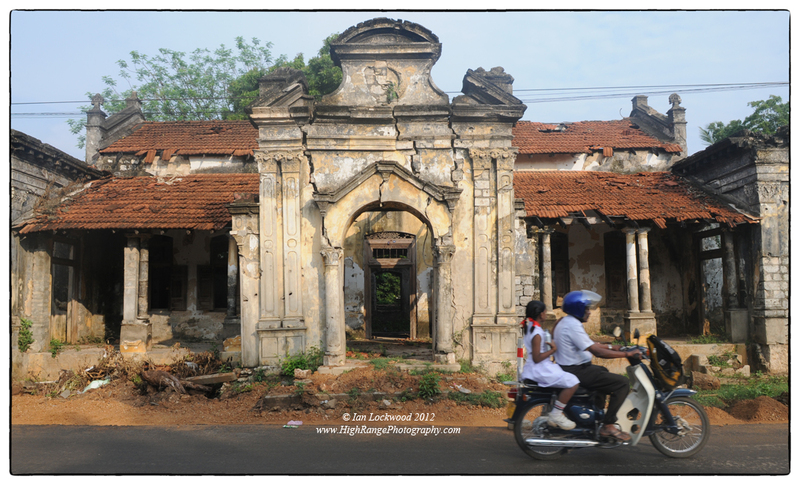 We stayed in Jaffna for three short days, which allowed for a limited sense of the place. Jaffna is emerging, growing and taking steady steps to resurrect a more peaceful time when it was an intellectual and cultural beacon for the island. The physical war wounds are older in Jaffna than in Mullaittivu and mostly carpeted in vegetation. More visible were the efforts to rebuild, restore and construct a new life post conflict. We visited Uduvil and Vaddukoddai and spent time with family friends who had known previous generations of the Lockwoods. At St. John’s School in Jaffna town we met up with a Mizo family working as missionaries through the Presbyterian church. There are not that many Mizos on the planet (roughly 1 million individuals) and most of them live happily in Mizoram. When we find Mizos outside of the state there is a wonderful connection that is immediately made and so it was an oddly happy reunion getting all of the Mizos in Sri Lanka together in this remote and recovering part of the island. They joined us on the visit to Jaffna College and later Casuarina Beach. In the mornings I rode my cycle around the fort, library area and water front. Army camps had been recently dismantled and much more of the area is now accessible. The small market by the bus stand is bustling with business and I went looking for images and interactions. Snap shots from the window on the road from Trinco up through Mulativu to Jaffna. 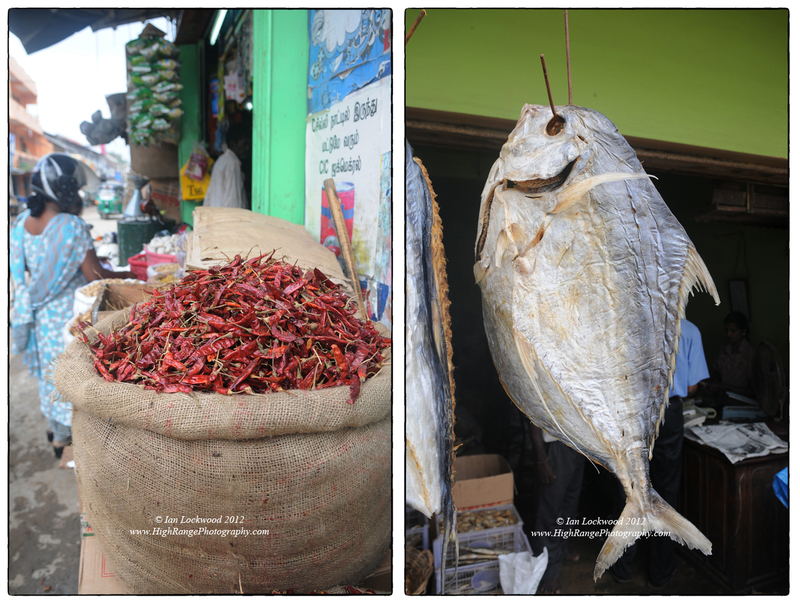 Market produce in Jaffna featuring some of the famous died fish and chillies. 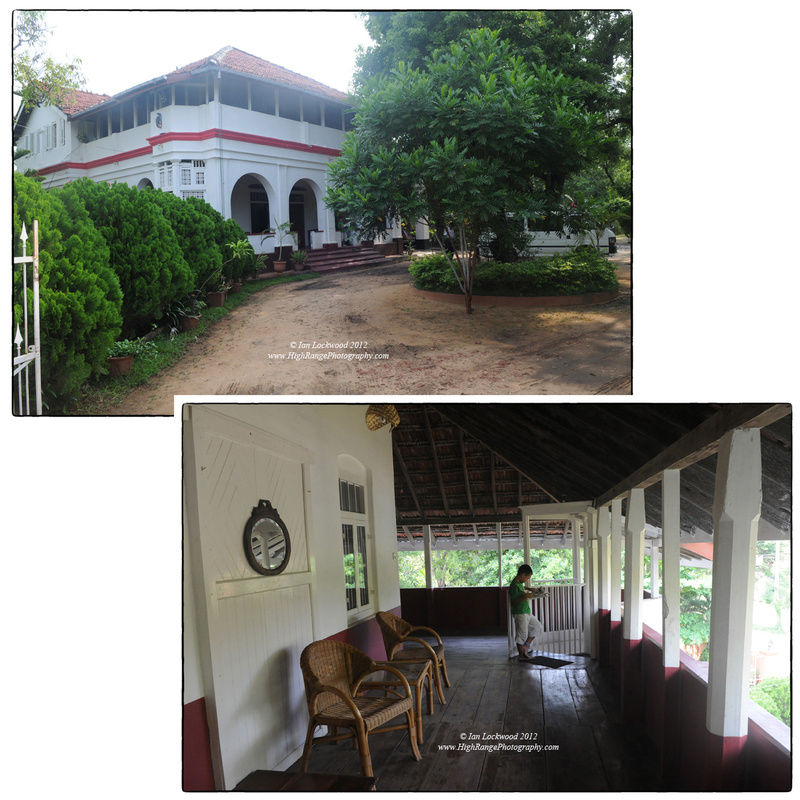 Sarras Guest House in Jaffna: a fine place to stay with one of the best old verandahs in the country. Jaffna-Kayts causeway, just beyond the old Dutch Fort. 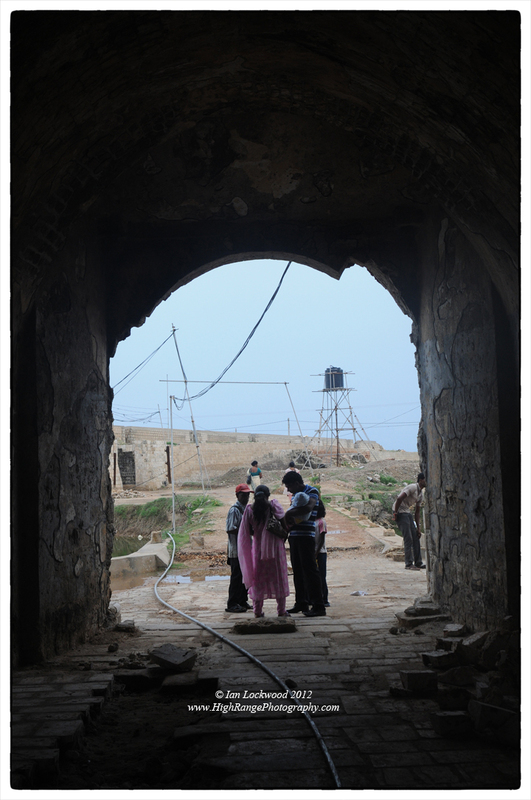 A new child and her parents visit the Jaffna Fort now under restoration. Monsoon storm approaching on the newly opened Poonryn causeway. Looking towards Elephant Pass and the eastern portion of the Jaffna peninsula. On the return to Colombo we moved relatively fast and got back in two days. Leaving the Jaffna peninsula we used the new bridge (and terribly pot-holed access roads) near Pooneryn before joining the A9 down to Kilinochchi and Vavuunia. We took time to halt in Anuradhapura to appreciate the architecture and marvels of this ancient capital (see October 2010 post for details on the area). The trip was all too brief but it gave me a sense of the area, its land, peoples and difficult history. In January of this year OSC sent its first student and teacher group to Jaffna as part of the Week Without Walls program. They were able to utilize some of the knowledge that we picked up on our family trip. No no one can remember doing a school trip to Jaffna in the last 30 years, so it represented a significant milestone for our small community of Sri Lankans and expatriates! 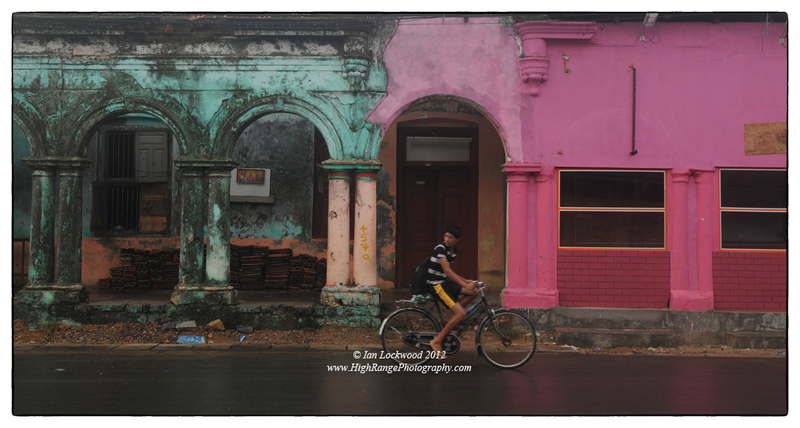 As for the Lanka Lockwoods, we look forward to returning to Jaffna and hope to do so in the coming years.